SW-MOTECH Tablet Dry Bag  is equipped with a touch sensitive membrane that allows gadgets to be operated when placed inside the Dry Bag. The Tablet Dry Bag is designed with TPU material providing high abrasion resistance, water resistance, durability, and the ability to withstand hot and cold temperatures. 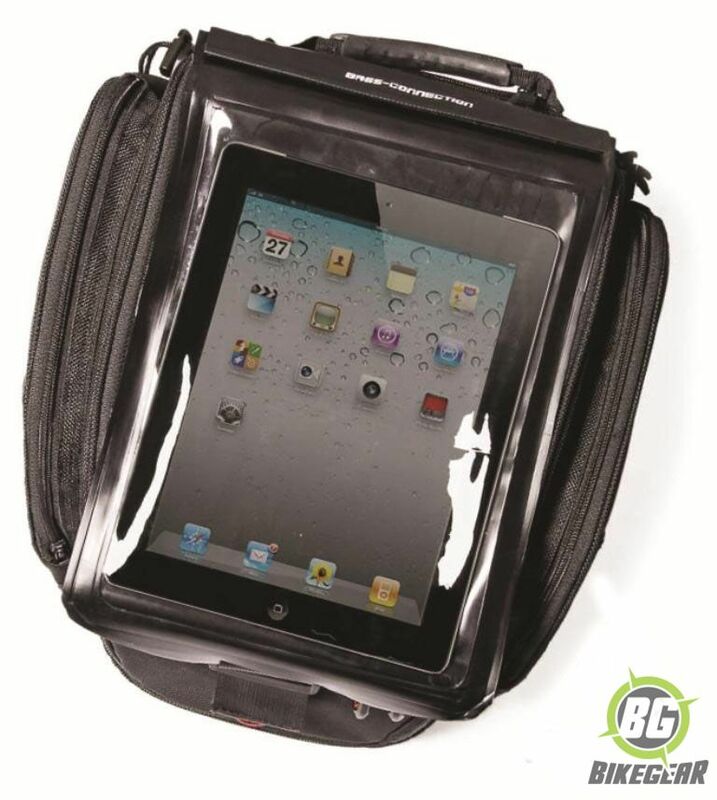 Protect your tablet from all of these influences with the Dry Bag on any of the Quick-Lock Tank Bags. The Dry Bag is equipped with a touch sensitive membrane that allow gadgets to be operated when placed inside the Dry Bag pouch. Attaches simply using adjustable bungee strings and simply slipping the device into the Dry Bag pouch. Holds tablet up to 213 mm x  250 mm with a viewing window of 188 mm x 225 mm.. Tank bag is sold separately.